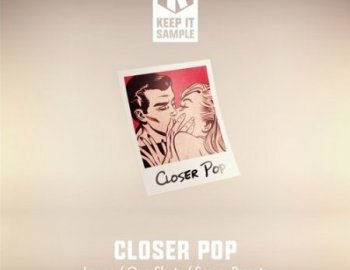 'Closer Pop' from Keep It Sample is a fantastic new release that you can use in your productions, all Royalty-Free. This pack satisfies the demand of today's hit records with rhythmic basslines and synths, great melodic melodies, fat dynamic drum loops and FX sounds. The decision of using Serum as a universal sampler has been adopted in order to let you exploit the best sounds of the producers featured in this pack with any DAW. Unlike the classic samplers, you will be able to enjoy the fantastic FX of Serum that has been perfectly set for you, to let your sounds come out even brighter and fatter. 'Closer Pop' will allow you to produce the freshest genre on the Pop music scene and it's all about modernity and style. This finely tuned selection of Serum presets and MIDI files will give you instant access to a fully professional library of sounds, very useful for producers of this genre.